We provide Electrical/Electronic repairs to cars, motorbikes, scooters and light commercial vehicles. 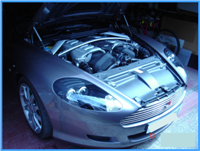 From a basic fitting service, right through to vehicle computer diagnostics fault finding. Mobile Auto Electrics carries the latest in manufacturer diagnostic equipment covering all makes from old to new. We repair from start to finish from fault-finding to fixing. We also specialise in vehicle wiring systems and repairing modules and components. This is beneficial to you, our valued customers, as it means that rather than having to buy new expensive parts, your vehicle can be professionally repaired and guaranteed at a fraction of the cost. Avoid recovery charges and wait times, have your vehicle repaired on the spot at unbeatable prices. Vehicles can be repaired at your home, workplace or roadside. Trade work welcome. All our labour, parts and diagnostics are fully guaranteed. 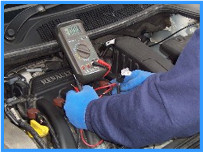 We have many years of experience in the motor trade and in diagnosing faults.We also have some of the latest equipment to help quickly diagnose faults. We go further than most, as we don't just rely on diagnostic equipment to tell us what is wrong. We actually test any sensors and prove that's where the fault is rather than just ordering you a potentially costly part which you might not need. 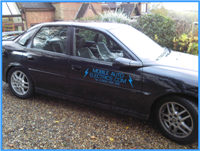 Mobile Auto Electrics provide a professional service at the convenience of your home or work. This eliminates the need to take time off work in order to take the car to the garage, or go out of your way to drop the car off for repairs.